We all accumulate random stuff. Two-by-fours from an abandoned project, mismatched plates and cups, ill-fitting clothes, bubble wrap; these items start to pile up in a corner of the garage and one day we want them out. But before tossing unwanted possessions in the trash, always consider the second R in the popular phrase Reduce, Reuse, Recycle. Reuse is about keeping resources circulating in our communities and out of the landfill. It means selling or giving away what we don’t want, and favoring gently used or refurbished items over new. It’s also about choosing durable items — such as stainless steel coffee mugs or reusable shopping bags — over disposables. Search thrift shops and yard sales for needed items before heading to a traditional store. Shop or advertise for wares on a community marketplace, such as Kuttlefish, Yerdle, Freecycle, Excess Access, Facebook, eBay, Craigslist, or the mobile apps letgo and OfferUp. Donate your unwanted goods to charity. Get a great start on finding places with Miss Minimalist’s list of 101 Places Your Clutter Can Do Good. Swap! Hold a clothing swap party with friends and inherit a whole new wardrobe. Or create a kids clothing and toy exchange with parents in your neighborhood or school district. Hold a yard sale and be sure to include a free box for random items. 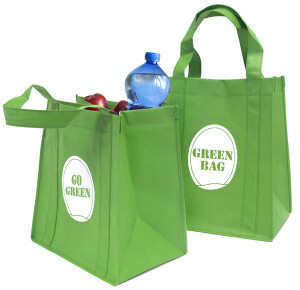 Keep a stash of reusable shopping bags handy for trips to the grocery store. Use reusable tableware and storage containers instead of baggies, plastic wrap and disposable plates/cups/utensils. Have your barista fill your coffee mug instead of a disposable cup. Use the “What do I do with…?” search box at the top of this page to find out creative ways to reuse just about anything!